A shift from brains to brawn? November 16 that witnessed the Speaker’s chair being carried away and desecrated has already gone into history as a day of infamy and horror of the country’s august assembly. In the free-for-all that ensued, some Pohottuwa members had not only kicked and punched their ‘opponents’ who rushed to the rescue of the Speaker, but also sent some of careering across the floor by yanking their clothes and legs, they say. Soon after the ugly scenes, a young Diyawanna member from Wayamba who had suffered manhandling by Pohottuwa members had sent an SMS inviting another young Pohottuwa member from the South to a real duel at Borella intersection. 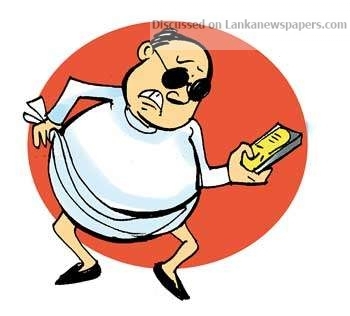 The Pohottuwa member accepting the challenge had shown up at Borella at the appointed time along with a group of his colleagues, but the Wayamba member had failed to keep his word, they say.